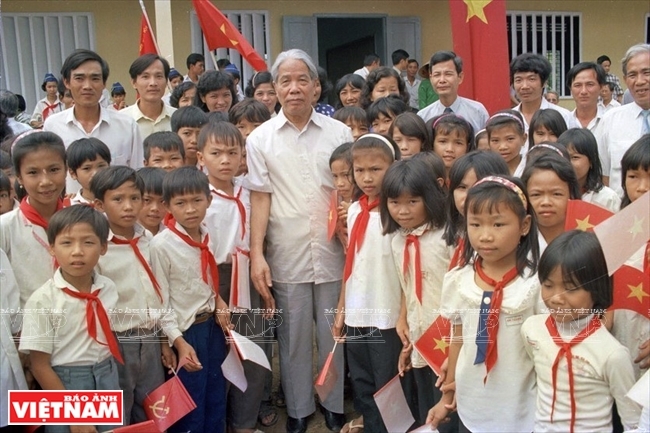 A village on the bank of the Red River, Dong Phu Liet, now Dong My, in Thanh Tri district, Hanoi, gave birth to a revolutionary combatant, one of the well-known leaders of the Party and Government of Vietnam in the late 20th century: Comrade Do Muoi, Ex-Chairman of the Council of Ministers from 1988 to 1991, and Former General Secretary of the Communist Party of Vietnam from 1991 to 1997. 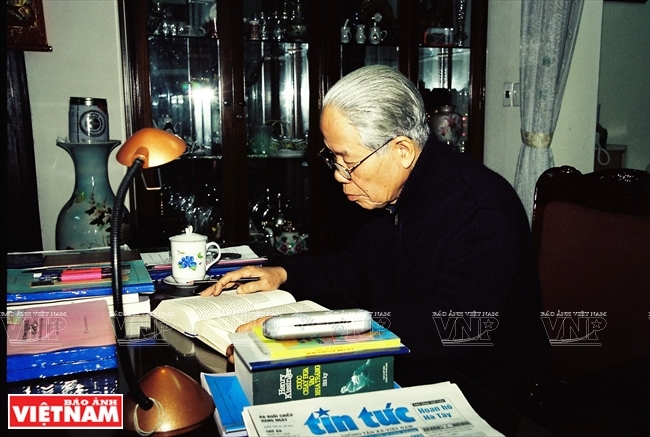 Comrade Do Muoi passed away at 23:12h, October 1, 2018, leaving a deep sorrow for Vietnamese people. 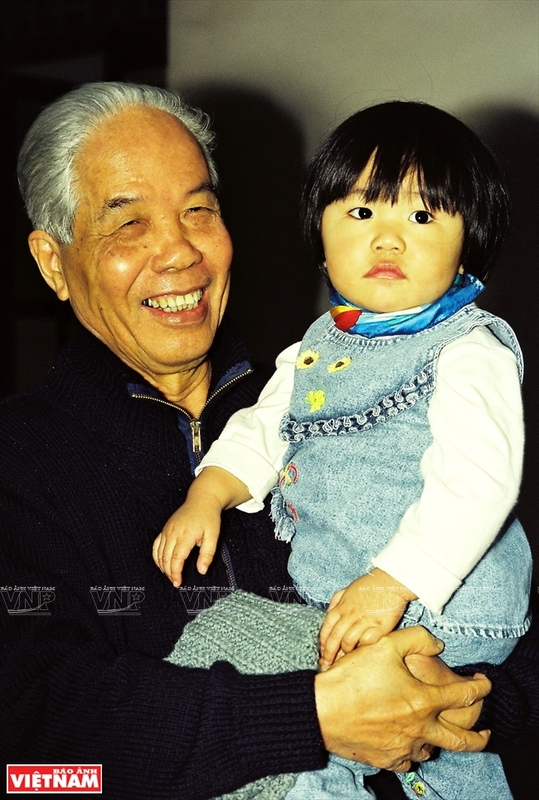 Do Muoi was born on February 2, 1917, one day before the start of Spring. 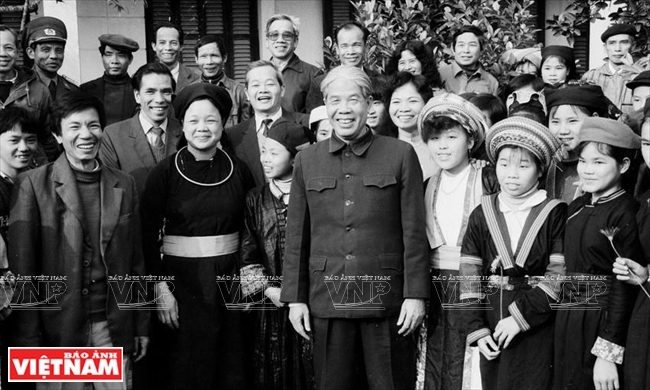 He was the eldest son of the “Nguyen Duy” family, a descendant of the Grand Duke Nguyen Bac, a first class courtier with eminent records of service under King Dinh Tien Hoang. His parents did the farming, tilling the land and living off the fertile paddies along the Red River. He and his three siblings had to work while studying to help the family. 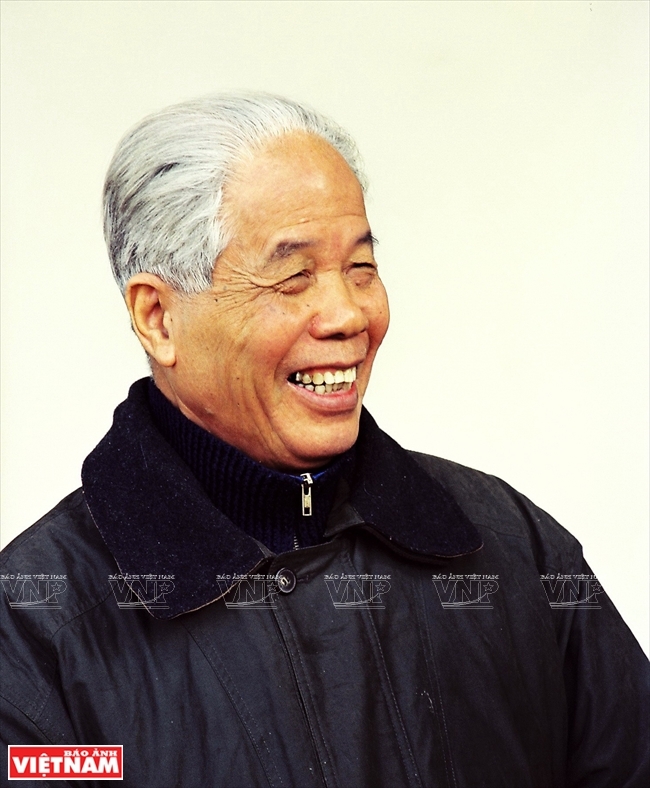 In 1936, he joined in revolutionary activities while working as a lacquer worker. His house was a shelter for quite a few communist revolutionaries. 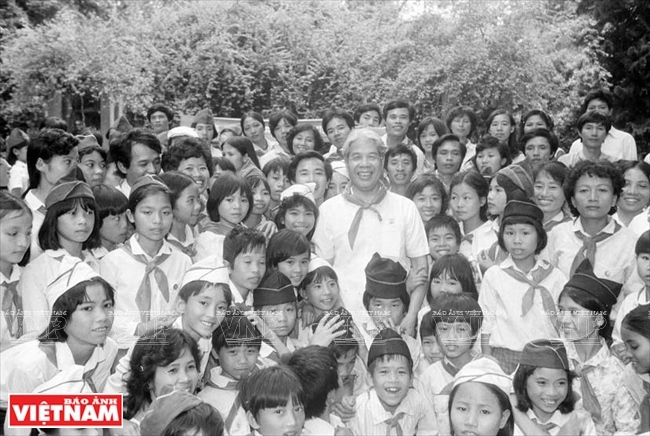 In 1939, he was admitted into the Indochinese Communist Party and together with the others in the Party cell redirected the local people and neighboring villages to rise up for tax reduction and democratic rights. He zealously went to the hamlets and villages along the Red River to mobilize the masses and organize revolutionary forces. The Red River during the turbulent days was deeply imprinted with the images of the young revolutionary combatant, wholeheartedly dedicated to the movement. The French colonialists conducted ferocious persecutions. He was arrested and sentenced to 10 years in jail at Hoa Lo Prison Centrale in Hanoi. Four years later, on March 9, 1945, when the Japanese fascists staged a coup d’etat to topple the French, he, together with the other political prisoners embarked on a jailbreak and carried on with revolutionary activities. To take refuge from the enemy’s hot pursuit, he sometimes stayed in the Tram Long pagoda acting as a junior monk striking the bell. Thirsty for learning, he was a man of wide thinking and deep understanding of Buddhism and the revolution. The August Revolution was barely victorious when the entire nation had to wage an anti-French resistance war. 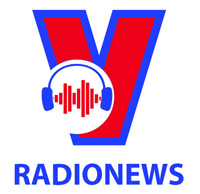 In the days when the country was put to fire and sword, at the crossroads of survival and death, he was found to be everywhere in the northern delta region, as provincial Party Secretary in Ha Dong, Ha Nam, Nam Dinh, Ninh Binh and Hoa Binh, Deputy-Secretary of the Inter-zone III’s Party Committee and Vice President of the Administrative Resistance Committee of Inter-zone III, and Political Commissar of the Inter-zone III’s Command. 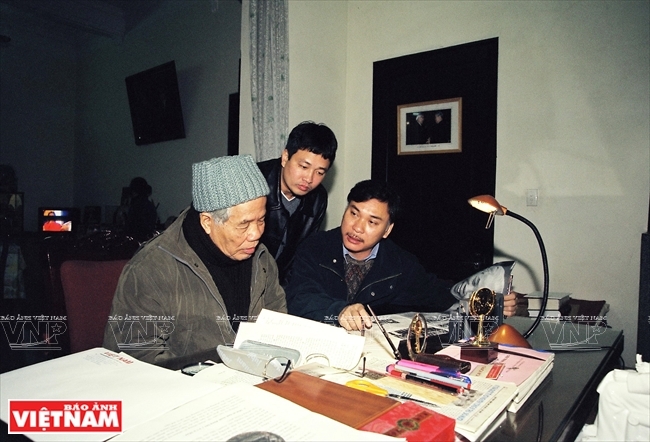 Ngan was his pseudonym when he was appointed as Secretary of the Party’s Personnel Committee, Political Commissar and President of the Administrative Resistance Committee and Secretary of the Party Committee of the Red River Left Bank Region from 1951 to 1954. He was born and brought up on the banks of the Red River, joining in the revolutionary movement and then the resistance war also in the close links to the Red River Delta, making contributions to the glorious chapters of the 9-year sacred war against the French colonialists. The left bank of the Red River was in the vanguard of starting the popular and all-out resistance war, relying mainly on its own forces. 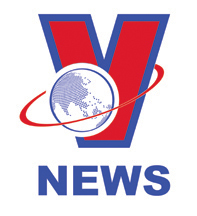 It is a zone that vividly exhibited the will of the Vietnamese people to fight and conduct revolutionary war in untold difficulties and complexities, and where the enemy clearly manifested its brutal nature in its plot to crush the people’s resistance war. 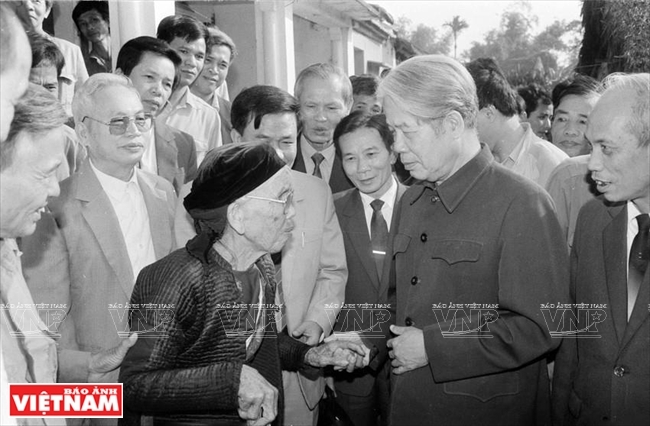 He met with locals in Le Loi commune, Thuong Tin district (former Ha Tay province) on November 1, 1992. 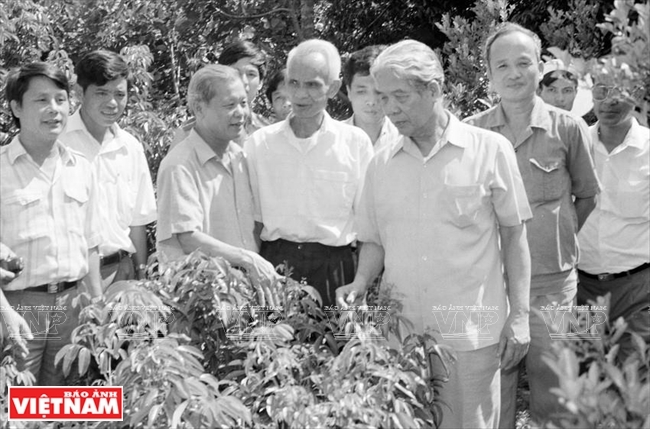 He visited the garden of an oustanding farmer in Chu town, Luc Ngan district, Bac Giang on September 1994. The people and army on the Red River’s Left Bank can recall the images of Do Muoi - the Secretary of the Regional Party Committee and his lieutenants leading the people in fighting the French invaders, annihilating the wicked thugs, destroying the quisling administration network, killing traitors, encountering the enemy’s operation raids or lying in ambush from hideouts in hunger, joining in farming production and improving the local people’s living conditions. 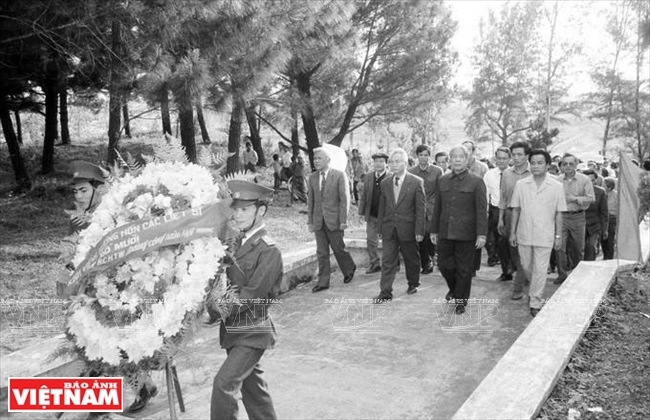 The entire nation will never forget the resounding exploits recorded by the people and army on the Left Bank under the leadership of the Regional Party Committee headed by Comrade Do Muoi: the surprise assault on Cat Bi Airport (May 7,1954) burning 59 of the enemy’s planes; the general offensive on Highway 5 annihilating four battalions, destroying portions of the motorway and many trains, thus dealing a telling blow to the logistic line of the expeditionary corps and helping to smash the complex of entrenched fortifications at Dien Bien Phu to facilitate the success of the Geneva Conference on the restoration of peace in Indochina. 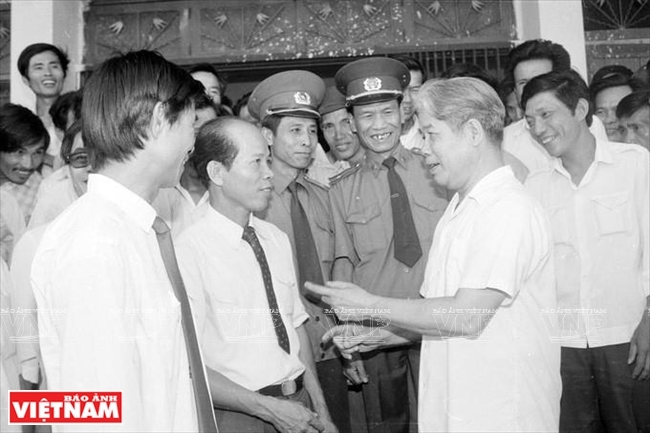 In early April 1955, he was assigned a new task: Secretary of the Party Committee and President of the Military-Administrative Committee of Hai Phong City. In reconstructing and consolidating the North with the untold difficulties and complexities in all areas, socio-economic and political, from 1956 on, he held office as Vice Minister of Trade, Minister of Home Trade, Chairman of the State Pricing Commission and Head of the Government Inspection Team. 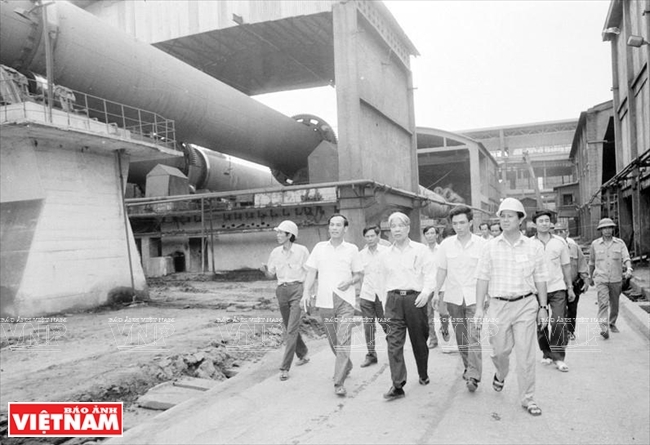 In 1969, he was appointed Deputy Premier and Chairman of the State Capital Construction Commission and Minister of Construction in charge of clearing up Hai Phong Port suffering from the war of destruction. 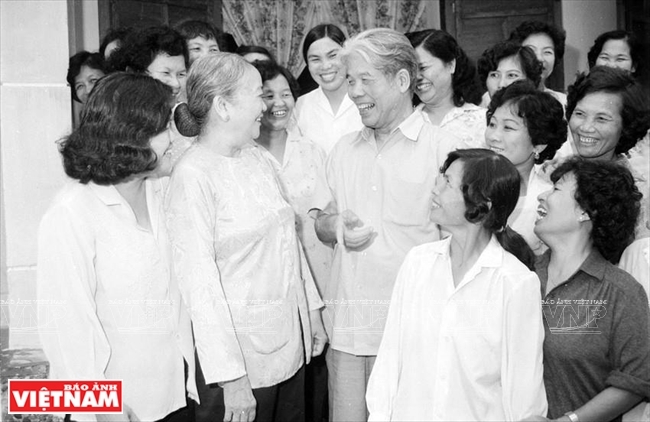 The cadres, workers and people of Hai Phong still recalled the images of Deputy Premier Do Muoi fighting day and night, shoulder to shoulder with the army men and workers of the port city, neutralizing the enemy’s blockade caused by bombs and sea-mines. 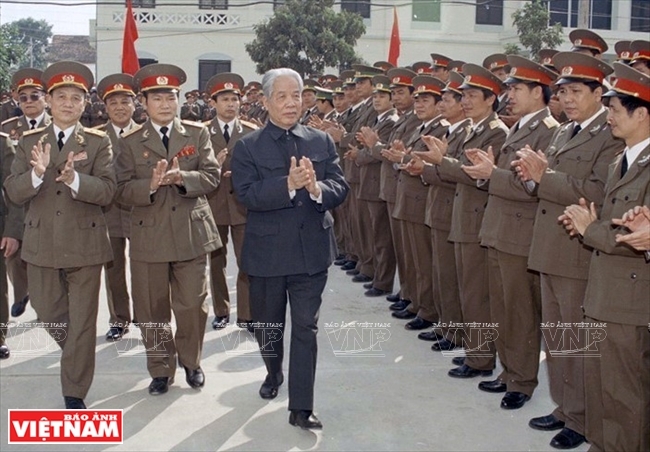 Assigned by the Party Central Committee as Chairman of the National Council for Reinforcement of the Frontlines, he directly and timely solved difficulties, thus helping bring about the victory of the anti-US resistance war for national salvation, for the liberation of the South and the reunification of the country. For 20 years working as Vice Chairman of the Council of Ministers, doubling up quite a few major tasks, he dedicated his energy and wisdom to the erection and consolidation of the physical foundation of socialism. At the key national projects such as the President Ho Chi Minh Mausoleum and Museum, the power projects of Hoa Binh, Pha Lai, Tri An and Yaly, the oil and gas exploitation projects, and the fights against natural calamities, he was always the first to start, and one of those who bore the brunt of everything, extremely bold and brave in the common work. 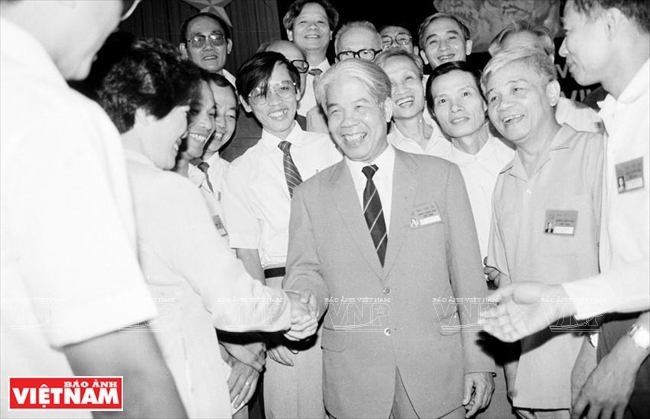 On June 23, 1988, at the 3rd session of the 8th National Assembly, he was elected Chairman of the Council of Ministers of the Socialist Republic of Vietnam. For six months, he together with the leaders of the Party and Government economists and scientists, made an in-depth study, learning from the experience at home and abroad to manage the change to a new economic policy and successfully thwarting the “fever of galloping inflation”, thus facilitating the rearrangement and promotion of production and stabilizing the people’s living conditions. 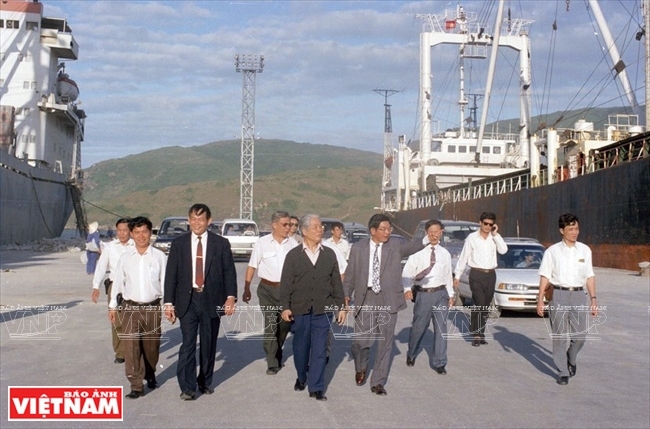 At the 7th Party’s National Congress (June 1991), which was held in difficult and complicated circumstances at home and abroad, Chairman of the Council of Ministers Do Muoi was assigned by the Congress to be General Secretary of the Party, carrying on the leadership for the execution of the “doi moi” (renewal) of the nation, overcoming huge difficulties, recording enormous achievements in all areas – political, economic, cultural, educational and social – thus bringing the national cause forward with industrialization and modernization. He was the one who mingled with realities, never refraining from difficulties and hardships. He was always present at time and at the most difficult places. He had gone to various regions, visited localities, met with people and attentively listened to their opinions and aspirations, and came to quick and assertive decisions. He was kind-hearted and generous, sympathetically sharing all people’s weal and woes. He took great pleasure in reading. He spent most of his spare time on books. He found truths and solutions, as well as codes of conduct in the books that he read. 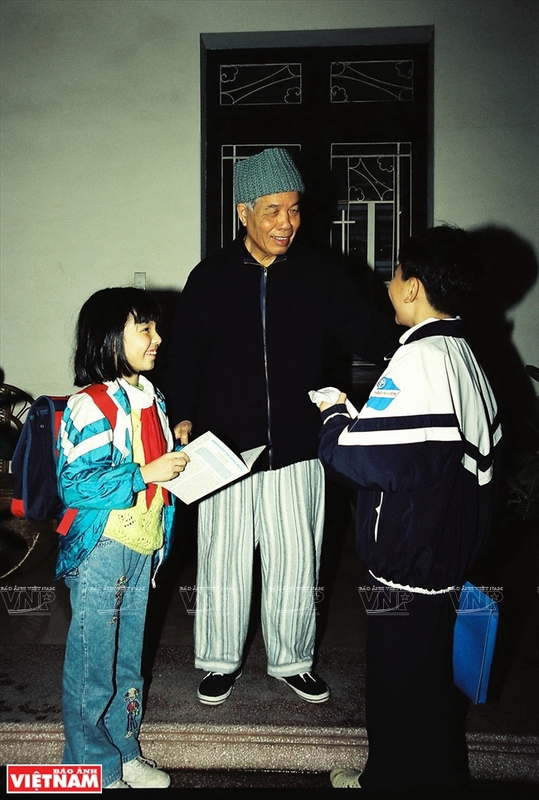 At home, he was a sincere and exemplary husband, father and grandfather. All his siblings, some living in the country and others working in the cities, are plain and simple, diligent and industrious. Every year, all the members of the big family gather under the same roof of their ancestral house at Dong My village, Thanh Tri district, on the banks of the Red River during the traditional Tet festival, to make offerings to the ancestors and keep the memory of the parents and grandparents. He lived a life as active as the surging waters of the Red River that has deposited fertile alluvia on the river banks as well as on the people’s livelihood. History will record his meritorious services – a son of the Red River – who dedicated his whole life with filial piety to the people, the family and the homeland./.